James Edward Beard, the son of Fred and Opal (DeSpain) Beard, was born January 13, 1945, in Shattuck, Oklahoma. He grew up on the family farm four miles south of Knowles, Ok, with his four sisters: Marietta, Wyvetta, Freda, and Lois. James attended school at Knowles, Oklahoma, and graduated in 1963. After high school, he worked for Smith Trucking off and on while attending college at Wilburton, OK, and Panhandle State University in Goodwell, OK. During this time, he and Jeanette Mead were united in marriage on January 14, 1966. They moved to Wichita, KS where he completed his education at Wichita State University, earning his Master’s Degree in Physics. 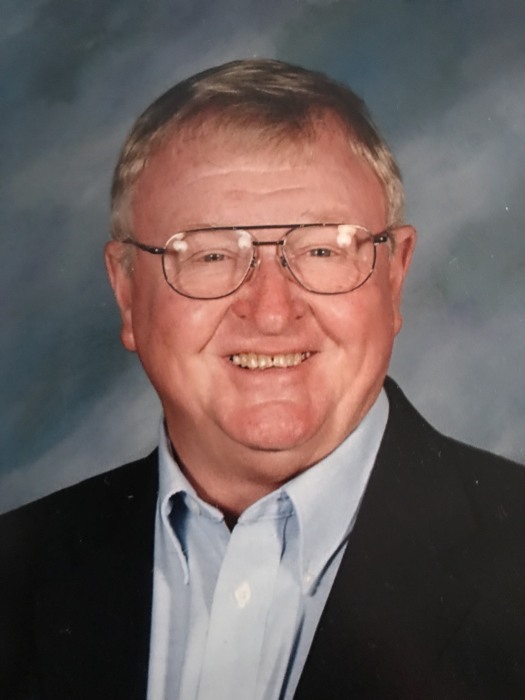 James worked for Smith Trucking and Kerr McGee Nuclear Plant before moving to Follett, TX, to teach secondary math and science for approximately 40 years. James and Jeanette made their home in Follett, TX, where they raised their two children, Jeff and Jami. James was a tremendous teacher who touched the lives of many; in addition, he was a farmer and rancher, custom hay harvester, and published poet. He shared his love for Christ with everyone. He went on mission trips to Mexico and Haiti to build churches and a radio station. He was also instrumental in getting a much needed tractor to his missionary friend in Bolivia. James was always faithful to pray for his missionary friends around the world. He was grateful to be a part of the ministry that led prisoners through the Experiencing God study. He also published five volumes of Christian poetry books. James loved watching his kids and grandkids play sports, show animals, or any other activities in which they were involved. His grandkids and great-grandkids brought him immense joy. James is preceded in death by his parents Fred and Opal Beard, his sisters: Marietta, Kinney and Wyvetta Casper. He is survived by his wife Jeanette of the home, his son Jeff and wife Beth of Hugoton, KS, his daughter Jami Smith of Follett, TX, his sisters and their spouses: Freda & J.D. Batman of Madill, OK, and Lois Lusk of Follett, TX, his grandchildren: Jace and Lyndi Smith of Mobeetie, TX, Daja, Joseph, Justin, and Chloe Smith of Follett, TX, Brionna, Jordyn, and Christopher Beard of Hugoton, KS, his great-grandchildren Eliza and Everett Smith of Mobeetie, TX, numerous cousins, nieces, nephews, and many friends.